This amazing foaming facial cleanser removes dirt, excess oil and eliminates Acne. But you might ask, don’t they all do that? Yes, but unlike other products like the Humane Acne Wash (a similar product), this CeraVe product does not contain Benzoyl Peroxide or Salicylic Acid. If you believe you are not getting the results from the conventional washes with these chemicals this product could get you the results you’re looking for. What makes this foaming facial different is the fact that it does not use the usual strong chemicals being used to get rid of acne. 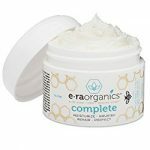 The approach is mostly to smoothly remove dirt, excess oil and dead skin cells without using chemicals that are harsh and will most likely dry your skin. It is a non-irritating product that eliminates shiny oily areas on your face. While products with Benzoyl Peroxide and Salicylic Acid are still very effective chemicals against acne because they exfoliate and kill bacteria, this product relies mostly on keeping the area clear and clean thus not letting bacteria clog the pores and form into acne. Using this cleanser along with another all day acne fighting product could turn into a powerful weapon on keeping your skin smooth, clean and acne free. 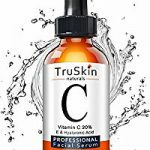 This product is one of the highest most reviewed acne products on Amazon, with mostly positive reviews and so many people having great success using it, your chances of this cleanser working for you are very high. The fact that it does not use any harsh chemicals and moisturizes the skin means the chances of you getting dry skin and very small. CeraVe is a great brand with many wonderful products and use dermatologists when developing their products, so you know they did their homework. Wet your skin with warm water then apply a one pump amount on the skin in circular motion for over a minute. Rinse and pat dry. If you use make-up this product is all you need to fully remove it while refreshing and cleaning your skin. People use it in the morning as a great refresher after a shower, while others use it at night before bed. I highly recommend using it in the morning and night to keep your skin feeling great all day and night. While it is a great moisturizer and will leave your skin feeling amazing I still recommend using the great moisturizer on the Red/Dry skin page. It will keep your skin hydrated and protect you from the Sun’s damaging rays. Like with all product recommendations, try this product for at least a month before deciding it is not working for you. Check out the CeraVe Cleanser over at Amazon, with so much positive feedback and great feeling on your skin when applied you can’t go wrong with this product. It’s an excellent cleanser without the harsher chemicals, removing make up, oil and dirt and leaving your skin clean, fresh and acne free. If you have any comments or questions don’t hesitate to write and I’m certain this product will help you on your path to Beautiful Clear Skin.